Leading the way in affordable web design and online marketing in Warrington. Looking for a new website or logo for your business? New World offer bespoke designs for print, screen and web. Leave a lasting impression on your potential clients with a website or logo designed by us. Looking to promote your business further? We offer a complete search engine optimisation package which is aimed to get your business noticed online and turn those visitors into paying customers. New World offer Magento powered websites at amazing prices. Sell your products online 365 days a year with our powerful, responsive and fully secure, SSL Certified E-commerce Websites. On the 6th August 1991 the very first website was launched. Two weeks later that website was made available to the public. Twenty Five years later over 720000 websites are launched each day. With over 9 years experience and over 10,000 websites built, we know how important online marketing is for the growth of any business. Gone are the days of radio promotions, of newspaper ads and of handmade flyers. We are now in the age of digital marketing, where information is accessible to anyone, anywhere; which is why it is vital that you have a website that reflects and develops your business. Register and purchase your business a domain name. Have New World Digital build and market your website. Generate interest, enquiries and ultimately, profit. Online marketing, whether through a website or social media, is the most effective way to raise the profile of your business. Here at New World Digital Media we have the expertise to help you make the most of your online presence. Its one thing to have a website, it's another to have it fully optimised and successfully marketing your business. Let New World Digital Media raise your online profile, and increase the work flow to your business. Need to be found through a search engine? Our optimisation service uses organic SEO in order to rank your website on Google and other big name search engines, making sure that you are found in your respective field. Just taken a photo of a new garden that you have designed? Did the customer leave you with a review? Upload these instantly to your site using our CMS system. Designed to be easy to use, we make sure that managing your website is a simple and streamlined as possible. Make sure that you are reaching as many people as possible by having your website also formatted for mobiles and tablet devices. Make your site interactive for any customers! Why not have them leave you a review? Or perhaps you need a way for customers to book an appointment. At New World Digital Media, we can cater to your online needs, and always aim to exceed expectations. New World Digital Media provide affordable website design, E-commerce and SEO services. Our E-Commerce websites allow you to sell your products online 24/7 and 365 days a year. Get your website noticed in the major search engines, including Google, Yahoo and Bing. Your website doesn't live on a desk anymore! Learn more about responsive website design. "They built a great website for me, exactly how I wanted it they added the photos I wanted, changed the bits I did not like. The service was prompt for all for £100. I paid to have the SEO sorted but it's optional. Very happy with site." 4 page website, built specifically to your requirements. Ideal for a quick and to the point business advertisement. 6 page website designed for both computer and mobile devices. Our silver package provides the space for that bit of extra detail to take your brand to the next level. 10 pages of perfection. Our Gold package is the best way in which to advertise your business; with pages specifically designed for your services, you can rest assured that your business is growing thanks to its online presence. Having a responsive website means your business will look good on all Android and iOS phone, tablets and handhelds, as well as the traditional desktop and laptop computers. Responsive websites are coded in such a way that the layout is able to adapt to suit the screen that it is being displayed on. 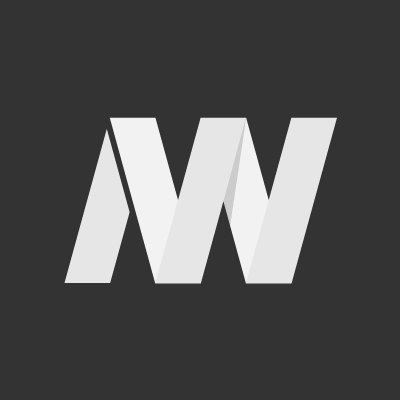 Here at New World Digital we understand the need that people have to see your content on the go, thats why all of our designers and developers are up to date with the latest coding practices in responsive website design, and are continuously re-thinking the way they code websites to ensure they are future proof. Want to work with a leading digital design agency? New World Digital Media are renowned as one of the UK's leading digital media agencies. We have a client base that stretches throughout the whole of the UK and take on new clients daily. Warrington based creative agency specialising in website design, logos and branding, search engine optimisation and much more. Helping business' stand out from the crowd since 2007.